To denoise a reference patch, the Non-Local-Means denoising filter processes a set of neighbor patches. Few Nearest Neighbors (NN) are used to limit the computational burden of the algorithm. 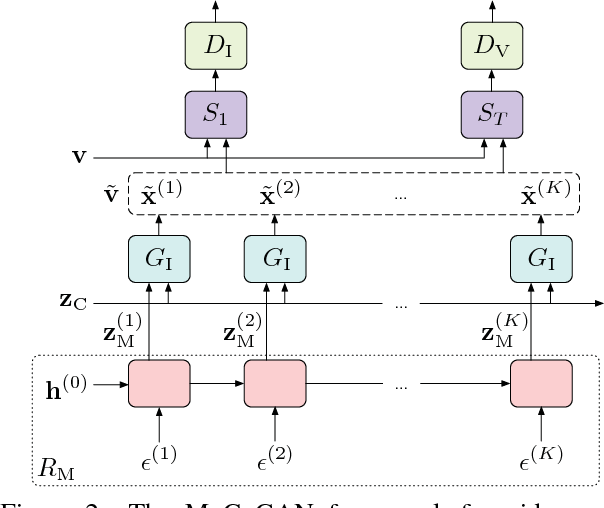 Here here we show analytically that the NN approach introduces a bias in the denoised patch, and we propose a different neighbors' collection criterion, named Statistical NN (SNN), to alleviate this issue. 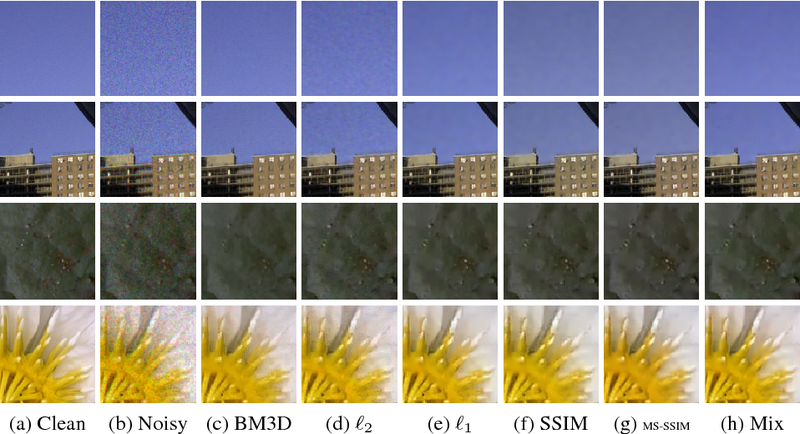 Our approach outperforms the traditional one in case of both white and colored noise: fewer SNNs generate images of higher quality, at a lower computational cost. 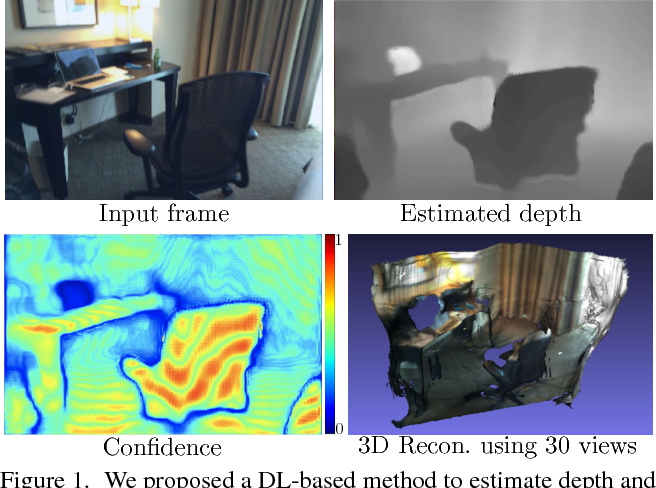 * This paper is accepted at the 2017 NIPS workshop "Nearest Neighbors for Modern Applications with Massive Data"
We present an iterative overlap estimation technique to augment existing point cloud registration algorithms that can achieve high performance in difficult real-world situations where large pose displacement and non-overlapping geometry would otherwise cause traditional methods to fail. Our approach estimates overlapping regions through an iterative Expectation Maximization procedure that encodes the sensor field-of-view into the registration process. 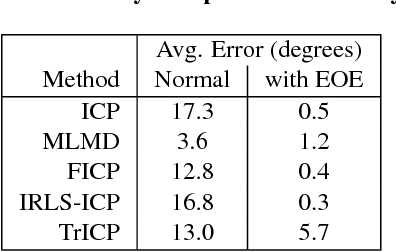 The proposed technique, Expected Overlap Estimation (EOE), is derived from the observation that differences in field-of-view violate the iid assumption implicitly held by all maximum likelihood based registration techniques. We demonstrate how our approach can augment many popular registration methods with minimal computational overhead. 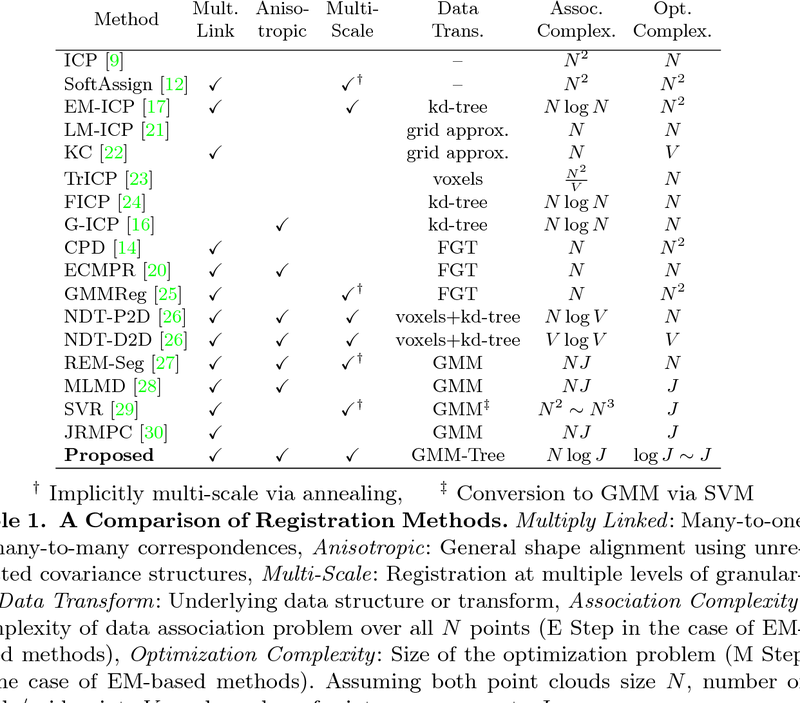 Through experimentation on both synthetic and real-world datasets, we find that adding an explicit overlap estimation step can aid robust outlier handling and increase the accuracy of both ICP-based and GMM-based registration methods, especially in large unstructured domains and where the amount of overlap between point clouds is very small. The non-stationary nature of image characteristics calls for adaptive processing, based on the local image content. We propose a simple and flexible method to learn local tuning of parameters in adaptive image processing: we extract simple local features from an image and learn the relation between these features and the optimal filtering parameters. 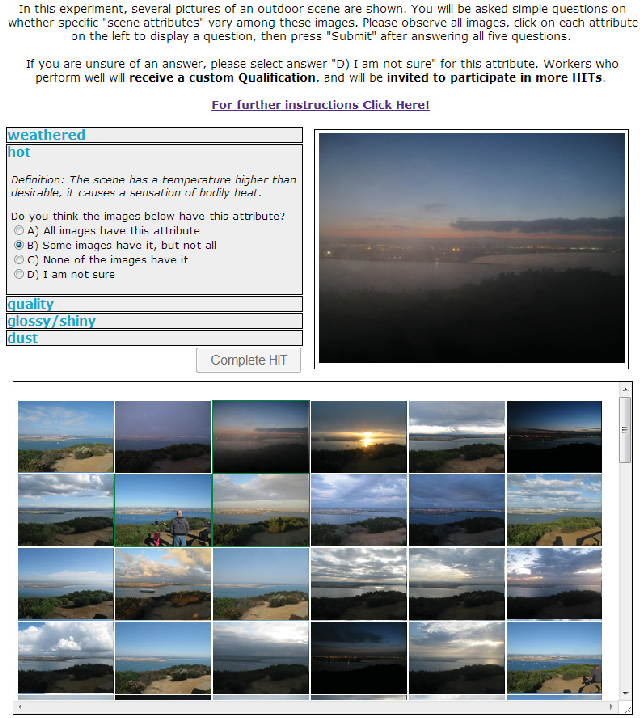 Learning is performed by optimizing a user defined cost function (any image quality metric) on a training set. We apply our method to three classical problems (denoising, demosaicing and deblurring) and we show the effectiveness of the learned parameter modulation strategies. We also show that these strategies are consistent with theoretical results from the literature. Unsupervised image-to-image translation aims at learning a joint distribution of images in different domains by using images from the marginal distributions in individual domains. Since there exists an infinite set of joint distributions that can arrive the given marginal distributions, one could infer nothing about the joint distribution from the marginal distributions without additional assumptions. 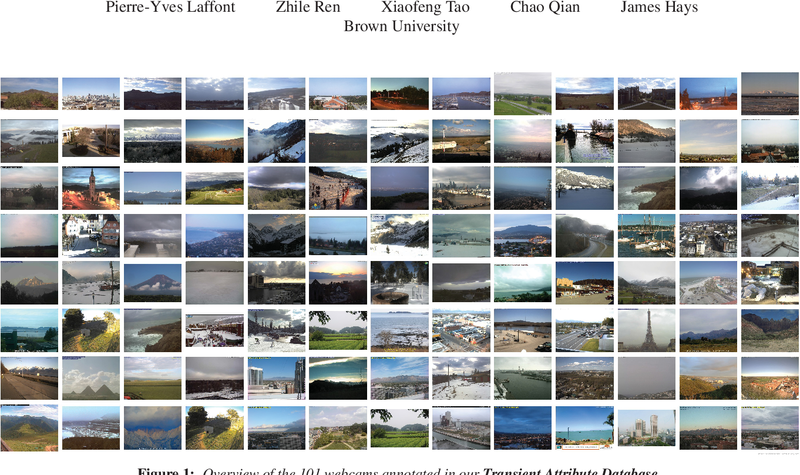 To address the problem, we make a shared-latent space assumption and propose an unsupervised image-to-image translation framework based on Coupled GANs. We compare the proposed framework with competing approaches and present high quality image translation results on various challenging unsupervised image translation tasks, including street scene image translation, animal image translation, and face image translation. We also apply the proposed framework to domain adaptation and achieve state-of-the-art performance on benchmark datasets. Code and additional results are available in https://github.com/mingyuliutw/unit . Unconstrained remote gaze tracking using off-the-shelf cameras is a challenging problem. 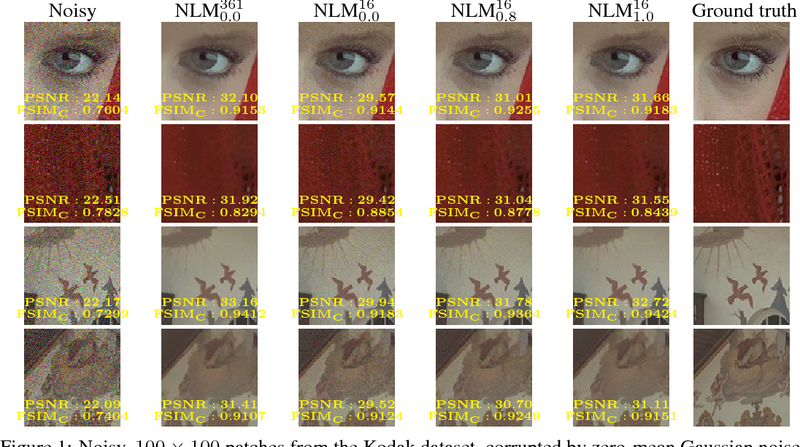 Recently, promising algorithms for appearance-based gaze estimation using convolutional neural networks (CNN) have been proposed. Improving their robustness to various confounding factors including variable head pose, subject identity, illumination and image quality remain open problems. 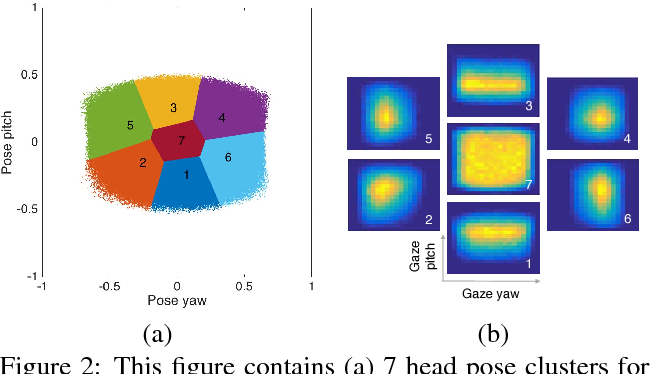 In this work, we study the effect of variable head pose on machine learning regressors trained to estimate gaze direction. 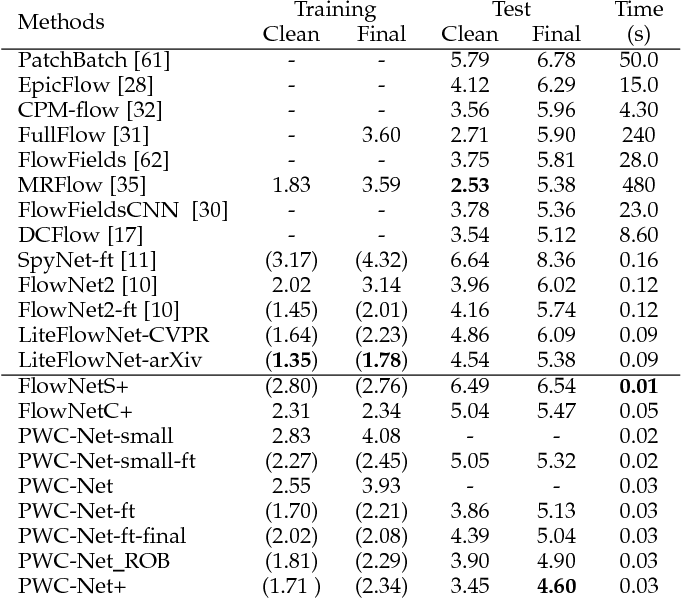 We propose a novel branched CNN architecture that improves the robustness of gaze classifiers to variable head pose, without increasing computational cost. 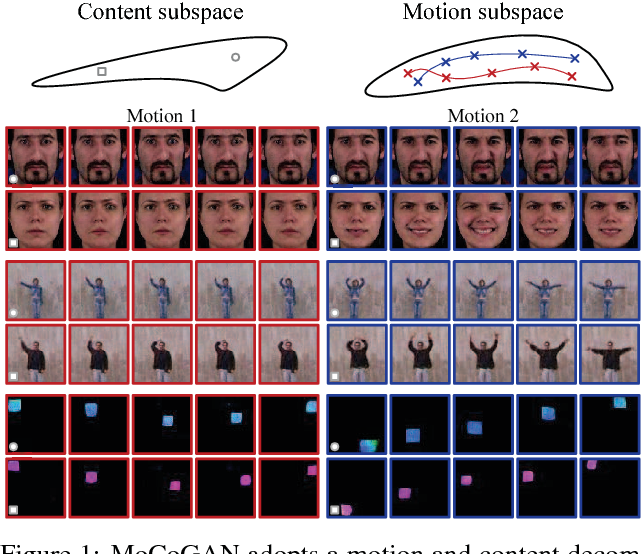 We also present various procedures to effectively train our gaze network including transfer learning from the more closely related task of object viewpoint estimation and from a large high-fidelity synthetic gaze dataset, which enable our ten times faster gaze network to achieve competitive accuracy to its current state-of-the-art direct competitor. In this paper, we address the challenging problem of efficient temporal activity detection in untrimmed long videos. While most recent work has focused and advanced the detection accuracy, the inference time can take seconds to minutes in processing each single video, which is too slow to be useful in real-world settings. This motivates the proposed budget-aware framework, which learns to perform activity detection by intelligently selecting a small subset of frames according to a specified time budget. We formulate this problem as a Markov decision process, and adopt a recurrent network to model the frame selection policy. We derive a recurrent policy gradient based approach to approximate the gradient of the non-decomposable and non-differentiable objective defined in our problem. In the extensive experiments, we achieve competitive detection accuracy, and more importantly, our approach is able to substantially reduce computation time and detect multiple activities with only 0.35s for each untrimmed long video. In the context of deep learning for robotics, we show effective method of training a real robot to grasp a tiny sphere (1.37cm of diameter), with an original combination of system design choices. We decompose the end-to-end system into a vision module and a closed-loop controller module. The two modules use target object segmentation as their common interface. The vision module extracts information from the robot end-effector camera, in the form of a binary segmentation mask of the target. We train it to achieve effective domain transfer by composing real background images with simulated images of the target. The controller module takes as input the binary segmentation mask, and thus is agnostic to visual discrepancies between simulated and real environments. We train our closed-loop controller in simulation using imitation learning and show it is robust with respect to discrepancies between the dynamic model of the simulated and real robot: when combined with eye-in-hand observations, we achieve a 90% success rate in grasping a tiny sphere with a real robot. The controller can generalize to unseen scenarios where the target is moving and even learns to recover from failures. Power consumption is a critical factor for the deployment of embedded computer vision systems. We explore the use of computational cameras that directly output binary gradient images to reduce the portion of the power consumption allocated to image sensing. We survey the accuracy of binary gradient cameras on a number of computer vision tasks using deep learning. These include object recognition, head pose regression, face detection, and gesture recognition. We show that, for certain applications, accuracy can be on par or even better than what can be achieved on traditional images. We are also the first to recover intensity information from binary spatial gradient images--useful for applications with a human observer in the loop, such as surveillance. 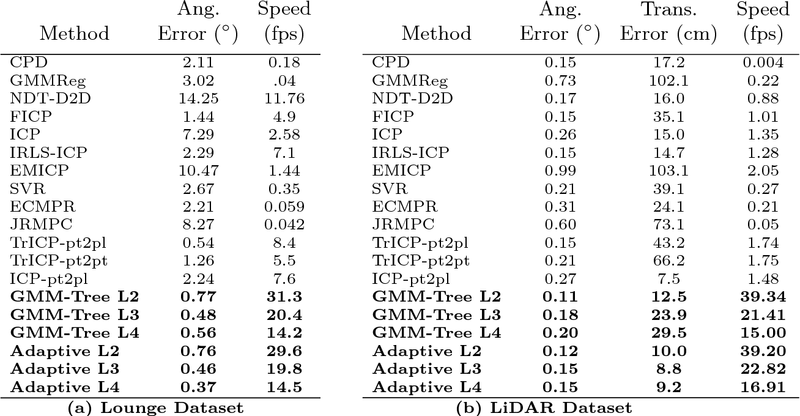 Our results, which we validate with a prototype binary gradient camera, point to the potential of gradient-based computer vision systems. Given a random pair of images, an arbitrary style transfer method extracts the feel from the reference image to synthesize an output based on the look of the other content image. Recent arbitrary style transfer methods transfer second order statistics from reference image onto content image via a multiplication between content image features and a transformation matrix, which is computed from features with a pre-determined algorithm. 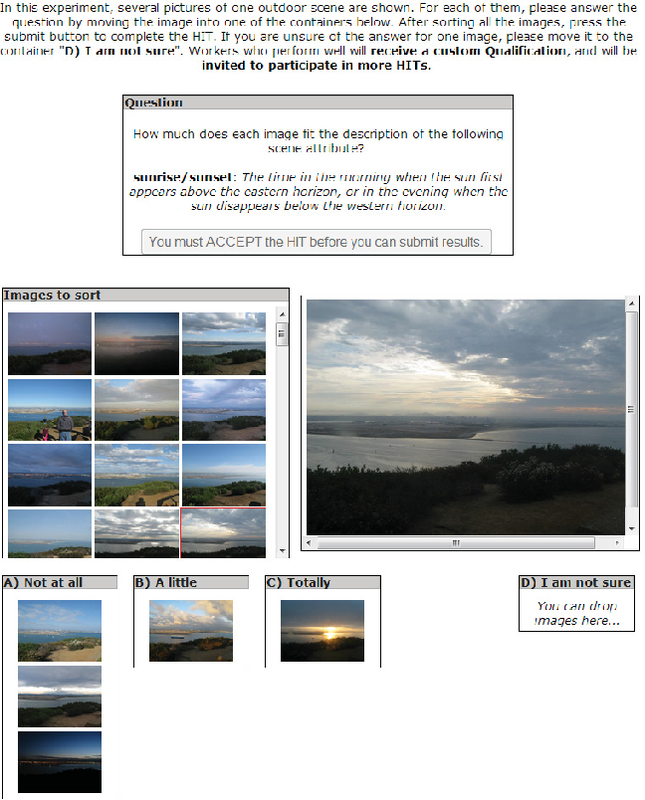 These algorithms either require computationally expensive operations, or fail to model the feature covariance and produce artifacts in synthesized images. Generalized from these methods, in this work, we derive the form of transformation matrix theoretically and present an arbitrary style transfer approach that learns the transformation matrix with a feed-forward network. Our algorithm is highly efficient yet allows a flexible combination of multi-level styles while preserving content affinity during style transfer process. We demonstrate the effectiveness of our approach on four tasks: artistic style transfer, video and photo-realistic style transfer as well as domain adaptation, including comparisons with the state-of-the-art methods. We present a compact but effective CNN model for optical flow, called PWC-Net. PWC-Net has been designed according to simple and well-established principles: pyramidal processing, warping, and the use of a cost volume. Cast in a learnable feature pyramid, PWC-Net uses the cur- rent optical flow estimate to warp the CNN features of the second image. It then uses the warped features and features of the first image to construct a cost volume, which is processed by a CNN to estimate the optical flow. 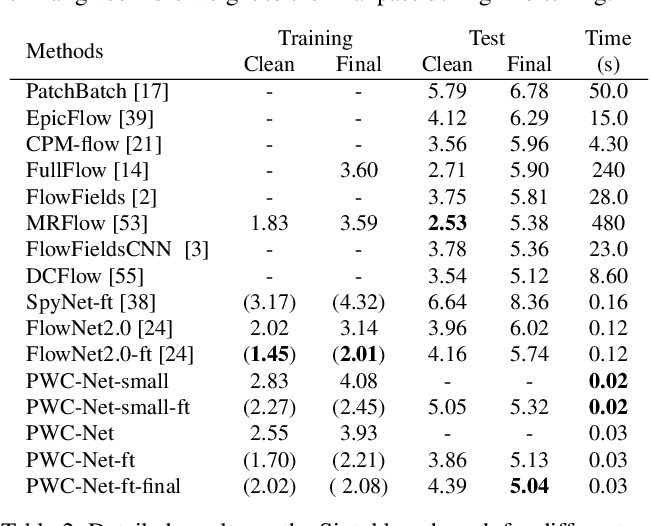 PWC-Net is 17 times smaller in size and easier to train than the recent FlowNet2 model. 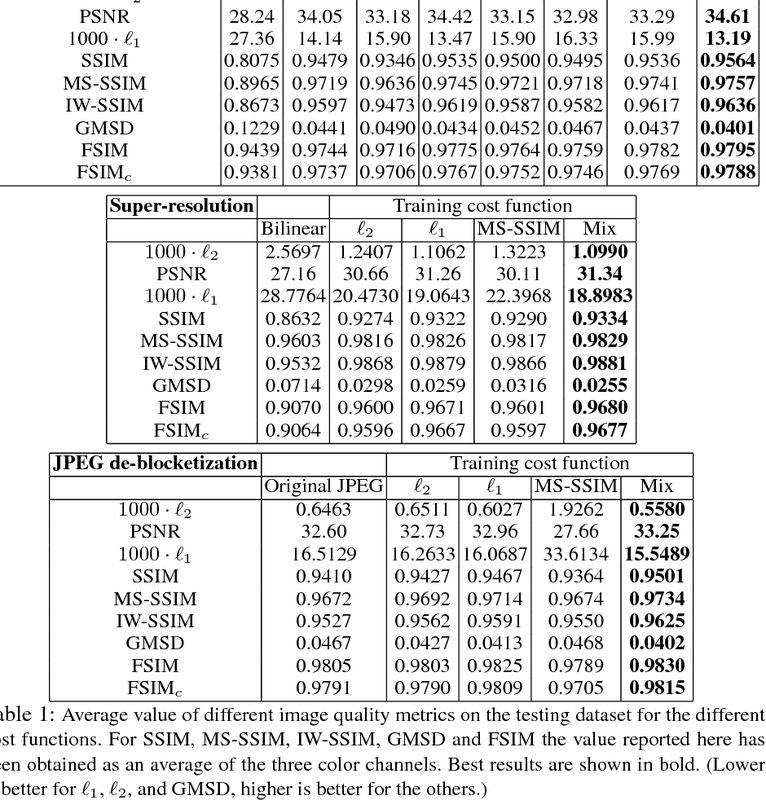 Moreover, it outperforms all published optical flow methods on the MPI Sintel final pass and KITTI 2015 benchmarks, running at about 35 fps on Sintel resolution (1024x436) images. Our models are available on https://github.com/NVlabs/PWC-Net. Depth sensing is crucial for 3D reconstruction and scene understanding. Active depth sensors provide dense metric measurements, but often suffer from limitations such as restricted operating ranges, low spatial resolution, sensor interference, and high power consumption. 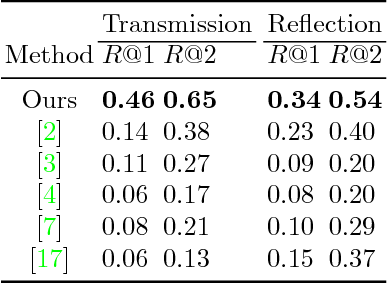 In this paper, we propose a deep learning (DL) method to estimate per-pixel depth and its uncertainty continuously from a monocular video stream, with the goal of effectively turning an RGB camera into an RGB-D camera. Unlike prior DL-based methods, we estimate a depth probability distribution for each pixel rather than a single depth value, leading to an estimate of a 3D depth probability volume for each input frame. 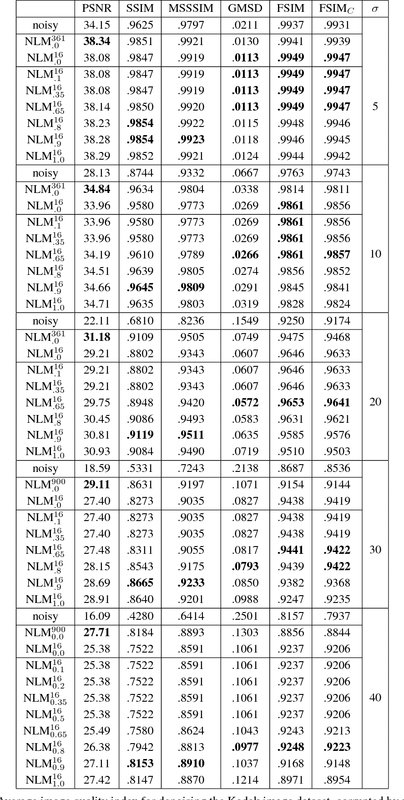 These depth probability volumes are accumulated over time under a Bayesian filtering framework as more incoming frames are processed sequentially, which effectively reduces depth uncertainty and improves accuracy, robustness, and temporal stability. Compared to prior work, the proposed approach achieves more accurate and stable results, and generalizes better to new datasets. Experimental results also show the output of our approach can be directly fed into classical RGB-D based 3D scanning methods for 3D scene reconstruction. This paper proposes a deep neural architecture, PlaneRCNN, that detects and reconstructs piecewise planar surfaces from a single RGB image. PlaneRCNN employs a variant of Mask R-CNN to detect planes with their plane parameters and segmentation masks. PlaneRCNN then jointly refines all the segmentation masks with a novel loss enforcing the consistency with a nearby view during training. 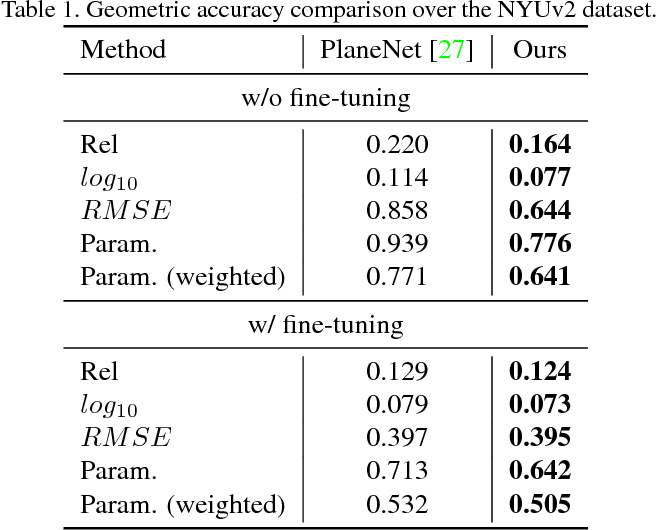 The paper also presents a new benchmark with more fine-grained plane segmentations in the ground-truth, in which, PlaneRCNN outperforms existing state-of-the-art methods with significant margins in the plane detection, segmentation, and reconstruction metrics. PlaneRCNN makes an important step towards robust plane extraction, which would have an immediate impact on a wide range of applications including Robotics, Augmented Reality, and Virtual Reality.